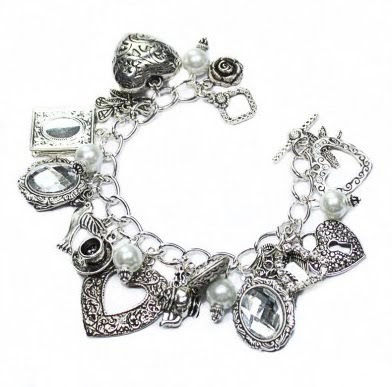 A beautiful and delightful Vintage style charm bracelet featuring lots of my favourite vintage style charms! I have used a bright silver chain and attached each of the gorgeous charms by hand! 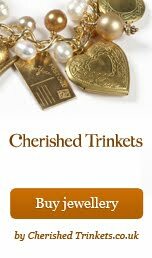 Charms include, vintage teapot, glass pearls, butterfly, little bird and much much more! There are lots and lots of delightful things to look at on this jewelery design. Certainly a one off piece of exclusive handmade jewellery! Only one of these available I’m afraid!.